Encountering what we do not understand can quickly lead to feelings of anxiety and fear. ACL injuries are no exception. I had the privilege of interviewing a fellow colleague and good friend of mine, Dwagne Haskins co-founder of The Physio Duo, regarding his two previous ACL injuries. At the beginning of the interview he indicated something that many face when encountered with injuries, leading to a number of unanswered questions. Following his first ACL tear, Dwagne’s main concern was whether he would ever be able to play basketball again. Would he be able to make it back in time to play his senior season? Would he have knee pain for the rest of his life? Would he be able to pick up, or play with his future children? These were the immediate concerns of the 16-year-old Dwagne. These questions and more, represent fears of not just Dwagne but many others who experience the same injury. This article is meant to reduce those fears by helping you understand the process of recovery, the importance of the rehab process and clarifying what your expectations should be after an ACL injury. THE ANATOMY: The Anterior Cruciate Ligament (ACL) is one of the most commonly injured ligaments in the human body. Nearly 200,000 ACL tears occur every year. Close to half of those injuries end up being surgically repaired. Before we continue however, there are some essential questions that need to be answered first. What is the ACL? Why is injuring this ligament so common? How does it happen? Why do some need surgery while others do not? And lastly, what should be expected with recovery? There are four main ligaments in your knee, the, ACL, PCL, MCL and the LCL. The four ligaments connect the femur and the tibia, which are the two big bones above and below the knee. Their primary job is to make sure that your knees remain stable, while preventing the two bones from moving in directions that they shouldn’t. Injury to any of these four can quickly lead to a fair amount of knee pain, sometimes leading to the need for surgery. The main job of the ACL is to make sure that the tibia doesn’t move forward in relation to the femur. This becomes especially important with running and other agility-demanding activities. CAUSES: The incidence of an ACL sprain or tear greatly increases with participation in high-level, athletic activities such as basketball, football, volleyball and soccer. These activities require rapid deceleration, twisting, cutting, jumping and landing. It is by no surprise then that the average age range for ACL injuries is between 14 and 29 years old. Individuals within this age-group participate in a fair number of sports activities. The irony is that it rarely happens with contact (i.e. colliding with another person). Quite frequently, the individual is by themselves when the injury occurs. The injury results in a major reduction of the knee’s stability because the ACL is the main stabilizer, making dynamic movements difficult to do. THE INJURY: Dwagne recalls playing a contact field game similar to football when he tore his first ACL. While running, he went to plant his foot, the knee shifted; then he heard a loud pop, which led to immediate knee pain. The second time, his injury took place during a basketball game. He jumped, landed, felt his knee shift, heard a loud pop, and was on the ground before realizing it. As you can see with both instances, Dwagne was alone. Almost instantaneously following the loud pop, his knee swelled up. “I tore it, screamed and then looked down and it was a balloon,” says Dwagne. This is common and should be a good indicator that there is a chance you may have torn your ACL if your experience is similar to Dwagne’s. Common symptoms include a loud pop in the knee, immediate swelling and pain. ER: An Emergency Room visit is the next appropriate step following an ACL tear. A number of assessments and imaging tests are utilized to confirm the injury and begin the initial steps of the recovery process. The most common methods used to determine if it is indeed an ACL tear are imaging and hands on tests, the mechanism of the injury such as the landing or twisting with a loud pop, and the patient’s complaints. Dwagne remembers being rushed to the Emergency Room. By that point the inflammation in his knee had reduced a bit. They went on to do some X-ray imaging which showed that he had not broken any bones, but as he would soon learn, his ACL would need to undergo surgical reconstruction. Along with an X-ray, an MRI is also commonly used to see the torn ligament itself due to the limitation of X-rays to do just that. The MRI images may sometimes show more than just a torn ACL. “Half of ACL injuries occur in combination with damage to the meniscus” as well, which can lead to a longer recovery process (ACL Injury, 2009). WHEN SHOULD I GET IT FIXED? : Before getting surgery, it is important to get the swelling to go down to prevent scar tissue from building up, as well as getting as much motion as possible back in the knee. Scar tissue would ultimately limit the amount of knee movement that the patient would be able to re-gain following surgery. This would not only prevent the individual from functioning at a high level, but could also lead to other future knee issues (Friedberg, 2016). SHOULD I GET SURGERY? : The decision for either having or not having surgery depends on a number of things. To begin with, the physician usually determines the level of knee stability with overall movement. The patient’s daily demands also play a role in the decision making process. For a young athlete with a desire to return to playing at a high level, there is a definite need for surgical repair to re-establish the needed stability, allowing for dynamic movements. Individuals with torn ACLs that feel relatively stable with walking, climbing stairs and other daily functions without a need to take part in quick and dynamic movements, may not need surgery. Those patients will likely take part in physical therapy to strengthen the muscles, and wear a brace as an added level of stability. Partially torn ACLs with a decent amount of stability remaining may not end up needing surgery either. “The prognosis for a partially torn ACL is often favorable, with the recovery and rehabilitation period usually at least three months” (ACL Injury, 2009). SURGERY: ACL tears frequently demand a surgical repair if the individual desires to get back to playing sports and moving at a high level. The surgery process takes about 2 hours. Rather than sewing the ACL ligament back together, a ligament graft from either the hamstrings or the patellar ligament is used to replace the torn ACL. The graft is usually stronger than the initial ligament meaning that after reaching full recovery, you can have faith in the ability of the new ligament to handle all of the movements you were able to take part in before the injury. “Patients treated with surgical reconstruction of the ACL have long-term success rates of 82 percent to 95 percent” (ACL Injury, 2009). After the surgery, the main goals are to make sure that the pain and swelling is kept down with elevation and ice or another form of cryotherapy. Following the surgery, most patients go into rehab within 2-4 weeks (ACL Surgery Recovery Timeline, 2015). Rehab will be needed to increase the movement of the knee, improve the strength of the muscles around the knee and hips, as well as amend muscle timing so that they can respond quickly to dynamic movement changes. REHAB: This is where it all comes together with physical therapy. Many have a very limited understanding of what happens at the rehab stage and why it is so important. In all honesty this portion of the recovery process may be the most crucial for recovery. The new ACL cannot function adequately without the appropriate level of movement in the knee. It is also unable to do so without the appropriate strength balance in the muscles that surround and protect the knee, as well as the timing of those muscles needed to prevent another such injury. Many times physical therapy is required before the surgery to ensure that the knee has full range of motion, guaranteeing a much better success rate following the surgery. Because of the importance of this step in the recovery process, it is beneficial to the patient to be fully involved in the treatment process, attend each appointment and be clear about sharing your goals with your physical therapist. The full rehab process can range anywhere from 6-9 months before being back to fully participating in high level activities. MEETING THE PT: When Dwagne went in for his first day of physical therapy, he recalls the physical therapist listening keenly to all of his concerns, with a clear plan of addressing them. She explained to him what was going on in his knee, what the rehab journey would look like, and that they would be able to get him back onto the basketball court within months. “We will do everything we can to get you back to doing what you love.” Through-out the entire process she both challenged him, while also being a source of motivation. When they had built up to agility and plyometric drills and he was finally ready to go back to playing the game of basketball, she rewarded Dwagne with a certificate acknowledging his big accomplishment and all of the hard work he had put in. He even says that physical therapy left him stronger and better than he had been prior to the injury. The immediate and initial frustration that comes with an ACL injury is a very common feeling especially when it means not being able to participate in high level activities such as sports, for a while. I want to re-assure you that you can get back to doing everything that you love to do. It certainly takes patience, hard work, and understanding the steps necessary to get there. As you begin your journey back to health through surgery and rehab, remember that the two go hand-in-hand. The surgery fixes the immediate dilemma of a torn ACL, by providing you with a new ligament to do the same job. 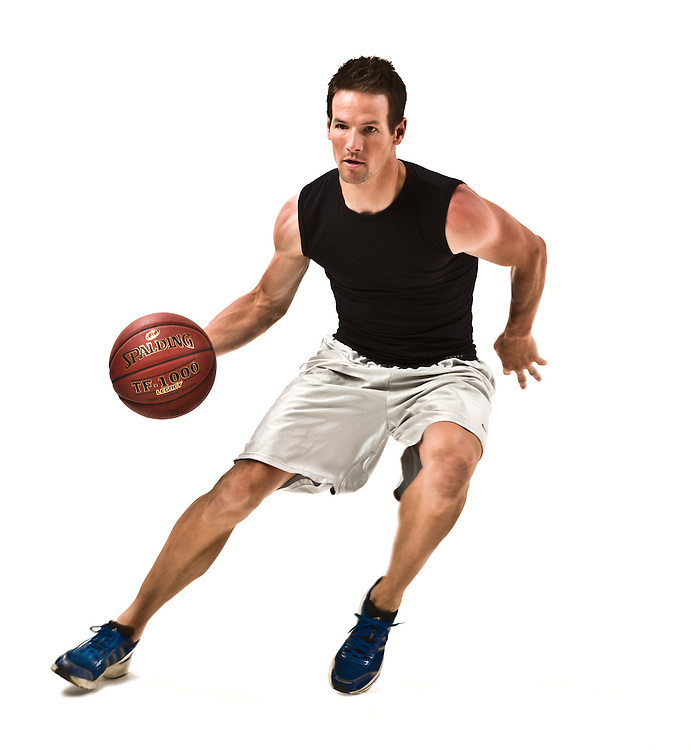 Rehab and Physical Therapy allows you to develop the needed motion, strength, timing and agility in order to be able to get back on the field, court, track and more. Previous WHAT’S IN A MENTOR?